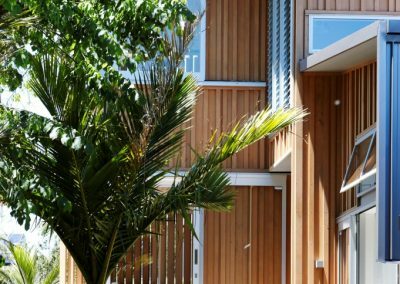 The Nikau House is the first of a newly developed subdivision designed by Strachan Group Architects (SGA) in Auckland. 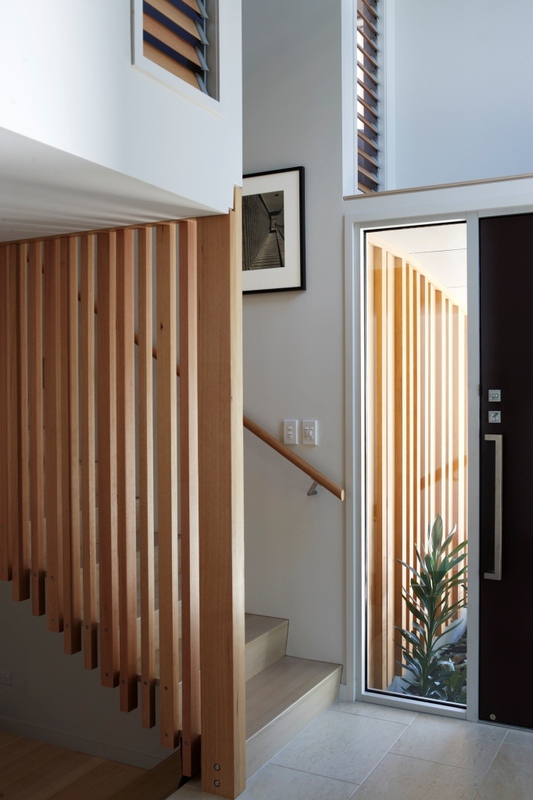 The Scandinavian modernist design overcomes many challenges to cleverly utilise the space within the tight urban site to accommodate visitors and family when they come to stay. All this has been achieved whilst providing necessary privacy from future neighbouring developments. 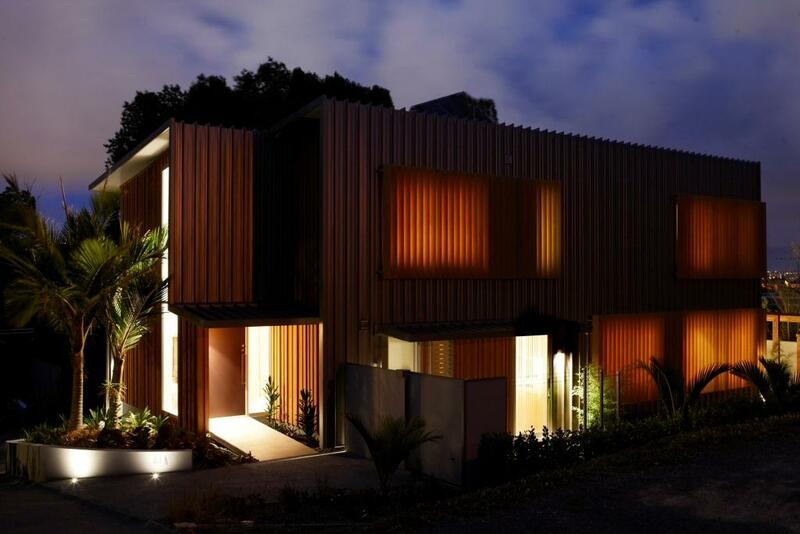 This innovative project strategically places windows around the home to frame the beautiful natural views of the lush green bush gully, existing Nikau palms and the Waitemata Harbour to the North of the site. 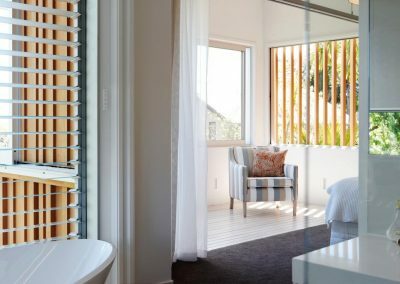 Sustainable design principles have also been adhered to in the garden and solar water systems, thermal mass and cross-ventilated spaces. Altair Louvre Windows by Breezway have been installed to assist with the cross ventilation to keep the home feeling fresh and comfortable. 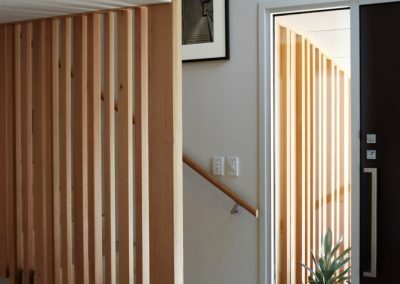 The use of timber decking inside the home in combination with internal timber louvres in the upper level bedrooms helps to create a convection airflow that passively heats and cools the home. 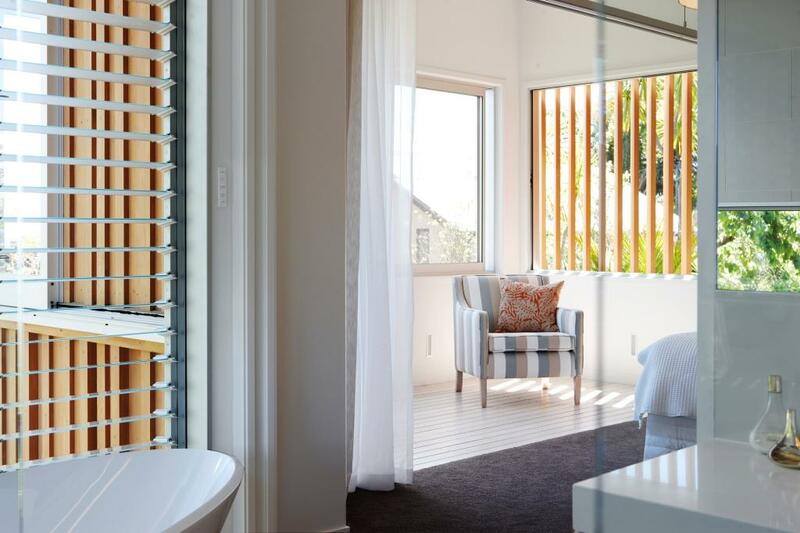 The timber louvres also provide shading and privacy to these areas when required. 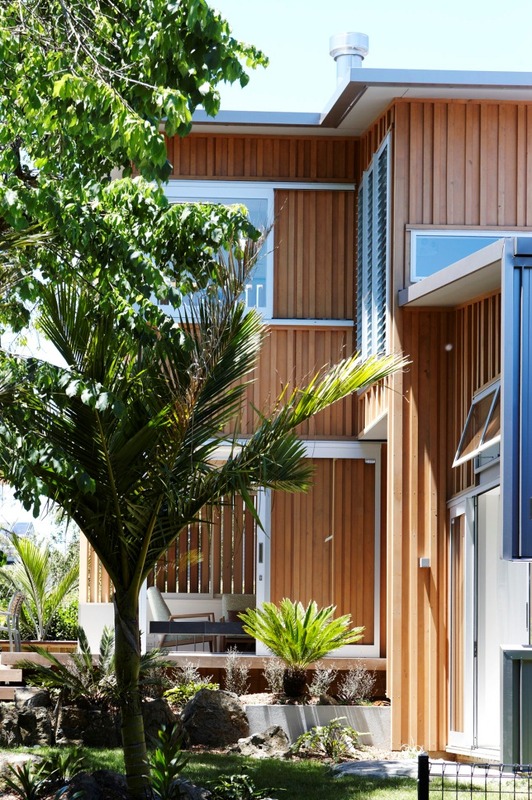 These timber materials together with a light colour palette reference the Scandinavian design requested by the owners. 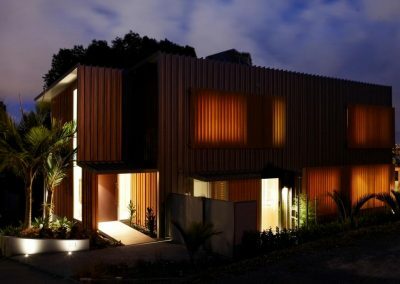 As a result, SGA have produced a luxurious, quiet, urban retreat that reflects peace and comfort for their satisfied clients.